In a new book, former oil geologist and government adviser on renewable energy, Dr. Jeremy Leggett, identifies five “global systemic risks directly connected to energy” which, he says, together “threaten capital markets and hence the global economy” in a way that could trigger a global crash sometime between 2015 and 2020. Despite its serious tone, The Energy of Nations: Risk Blindness and the Road to Renaissance, published by the reputable academic publisher Routledge, makes a compelling and ultimately hopeful case for the prospects of transitioning to a clean energy system in tandem with a new form of sustainable prosperity. A frequent Guardian contributor, Leggett has had a varied career spanning multiple disciplines. A geologist and former oil industry consultant for over a decade whose research on shale was funded by BP and Shell, he joined Greenpeace International in 1989 over concerns about climate change. As the organisation's science director he edited a landmark climate change report published by Oxford University Press. It is a question that our government, says Leggett, is ignoring. 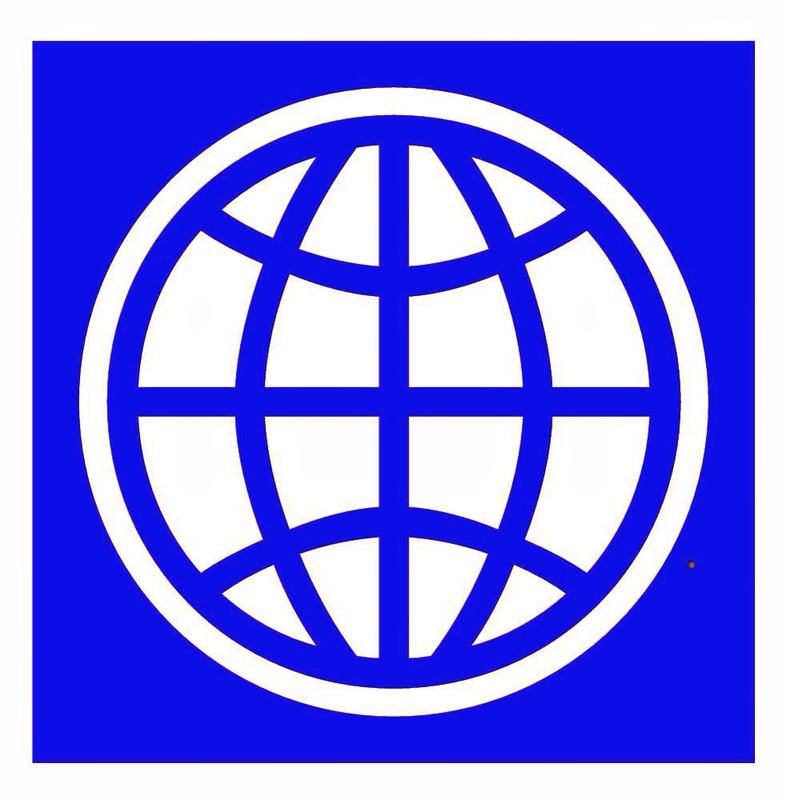 13 March 2014: In partnership with Energypedia, the Energy Sector Management Assistance Program (ESMAP) of the World Bank has developed the online 'Renewable Energy Project Resource Center' to provide documents that seek to facilitate the speeding-up and scaling-up of renewables projects in developing countries. The Center aims to help project developers and governments increase their knowledge and reduce transaction costs by, for example, providing samples of key documents required to successfully run projects, but which are rarely made publicly available by those generating them. The Special Program for Adaptation to Climate Change (SPACC) pilot project “Implementation of adaptation measures to address the absence of fresh water and coastal vulnerabilities in Bequia, St. Vincent and the Grenadines”, was implemented in Bequia, Saint Vincent and the Grenadines by the World Bank, acting as the implementing agency for the Global Environment Fund (GEF), and the Caribbean Community Climate Change Centre (CCCCC), acting as the executing agency. Background Bequia is the largest of the Grenadines islands, approximately 7 square miles in size, with a population of 4,874 (1991 census). Due to its size and geology, the island has no surface water and no known underground source. Approximately 30% of the island is covered with scrub vegetation of no market significance. The livelihood of the people of Bequia is tied to the surrounding coastal sea. Most natives are fisher folks or sailors. Given the absence of surface water and the calciferous nature of the soil, fresh water resource is a major issue for Bequia. Bequia’s need for water Bequia’s very limited water resources are being threatened by climate change. For people living in Bequia it is clear that dry spells are becoming unusually long, or that the pattern of the rainy season has changed. Water availability to key critical ecosystems is at greater risk as the limited water available is tapped or harvested by households due to the rain water supply systems that no longer meet their water needs. 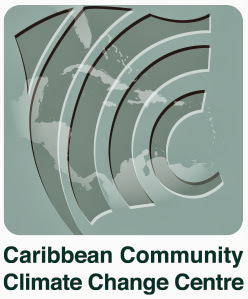 At present, there is no water distribution system in the island of Bequia. Each household has traditionally solved its water supply needs by building individual rain collection systems. It is indicated that up to 30% of the construction cost of a house in Bequia is allocated to the rain harvesting system. Of particular concern is the Paget Farms community (Figure 1) where the least wealthy population of the island lives. The entire community relies exclusively on rain water harvesting as the source of potable domestic water. In fact, many of the households in the Paget Farms community, the population targeted by this pilot, are equipped with underground storage that fill during the rainy season. The others utilize one or more glass reinforced plastic tanks that do not always satisfy their needs throughout the season and water supplies have sometimes had to be supplemented by purchase of water transported by barge from Kingstown. Current trends in precipitation confirm what Global Circulation Models predict: there are longer periods of drought, followed by shorter, more intense precipitation events. Moreover, sea level rise is threatening coastal aquifers through saline intrusion. Both factors are already threatening water supply stability for already stressed populations, which in turn Figure 1 : Paget Farm community in Bequia, with Fisheries Complex in the foreground leads to over-exploitation of aquifers and natural resources, endangering the fragile ecosystems and associated biodiversity. The speed of disruptive innovation in the electricity sector has been outpacing regulatory and utility business model reform, which is why they now sometimes feel in conflict. That disruptive innovation is only accelerating. RMI’s recent report,The Economics of Grid Defection: When and where distributed solar generation plus storage competes with traditional utility service, sets a timeline for utilities, regulators, and others to get ahead of the curve and shift from reactive to proactive approaches. Becoming proactive and deliberate about the electricity system's transformation, and doing so ahead of any fundamental shifts in customer economics, would enable us to optimize the grid and make distributed technologies the integral and valuable piece we believe they can and should be. When RMI issued The Economics of Grid Defection three weeks ago, our intent was to stretch the conversation among electricity system stakeholders by looking out far enough in the future to discern a point where the rules of the system change in a fundamental way. We used the best available facts to explore when and where fully off-grid solar-plus-battery systems could become cheaper than grid-purchased electricity in the U.S., thus challenging the way the current electricity system operates. Those systems, in fact, don’t even need to go fully off grid. The much less extreme but perhaps far more likely scenario would be grid-connected systems, which could be just as or even more challenging for electricity system operation and utility business models. The takeaway is this: even under the fully off-grid scenarios we modeled, we have about 10 years—give or take a few—to really solve our electricity business model issues here in the continental U.S. before they begin compounding dramatically. The analysis also suggests we should carefully read the “postcards from the future” being sent from Hawaii today, and take much more interest in how that situation plays out as a harbinger of things to come. As an institute with a mission to think ahead in the interest of society, consider this a public service message that these issues will crescendo to a point of consequence requiring dramatic and widespread changes well within current planning horizons. For those who are serious about finding solutions, this is also a call to action and a commitment to partnership. At RMI, much as we pioneered the concepts of the “negawatt,” the “deep retrofit,” and the “hypercar,” we have also defined what it means to be a “think-and-do tank.” It is not enough to do smart analysis. The solutions we champion must be practically tested, broken, fixed, refined, iterated, and ultimately adopted at scale for us to feel satisfied with our work. Partnering with leading companies and institutions is how we prove an alternative path is possible to a world that is clean, prosperous, and secure. The Transform scenario of our Reinventing Fire analysis, the most preferable outcome of the electricity futures we have examined, described a future for the U.S. electricity system in which 80 percent of electricity is supplied from renewable sources by 2050, with about half of that renewable supply coming from distributed resources. Given the current grid is only a few percent distributed and less than 13 percent renewable (counting a generous allotment of hydropower), we have quite a ways to go. Achieving that end state requires many changes. Some of those changes already have momentum and likely won’t require intervention, but others will need a kick start or some other form of “strategic acupuncture” encouragement. At RMI, we would certainly prefer that a transition of this scale be orderly and proactive, because having disruption rock the boat of the current system unprepared would undoubtedly leave some combination of shareholders, ratepayers, and taxpayers smarting. As we look at the future electricity system—the one we need to be building today—we see five critical differences from the present system. Redesigning our regulatory and market models should reflect these emergent needs. The future electricity system will be highly transactive. Increasingly, the grid will become a market for making many-to-many connections between suppliers and consumers, with those roles being redefined on a daily basis as self-balancing systems decide whether to take from or supply to the grid at any given time. Correspondingly, asset and service value will be differentiated by location and timing of availability, and perhaps even by carbon intensity or other socially demanded attributes. In a system that requires instantaneous load matching at the distribution level, and where virtual and real storage are distributed throughout the system, resource coordination will require transparent markets (with increasing automation) that provide the ability to balance autonomously using value signals. A system historically governed by averages will instead migrate to specific, dynamically varying values. Innovative energy solutions will proliferate. As a consequence of market forces already unlocked, we are assured to see a regular stream of distributed resource innovations that better meet customer needs at costs comparable to existing utility retail prices. These could be market-based aggregation plays (e.g., demand response) or personal technologies (e.g., a home “power plant” such as solar plus storage or a gas microturbine). A consequence of these first three points is that the rules governing the network must be adaptive to constantly shifting asset configurations, operations, and other factors. For example, charging EVs may make more sense at night or during the day, depending on the penetration of renewables relative to base needs. There will be lots of inflection points on how and when to encourage the development of different types of assets to reach efficient and stable outcomes. Finally, the customer will be increasingly empowered. The services of the grid must de-commoditize to deliver against exact customer needs for reliability, “green-ness,” and other attributes. Failure to do so will result in customers finding higher-value alternatives. This future still prominently features a robust wires network; defection from the grid would be suboptimal for a number of reasons. We would assert that everyone is better off if we create a future network that is easier to opt in to, rather than opt out of via the risk of defection. Moreover, distributed resources—the same ones that could but needn’t threaten defection—have the potential to become a primary tool in the planning and management of grid-based distribution systems. Already, we are working with utilities and regulators in several parts of the country in exploring new ways to incentivize electricity distribution companies to take full advantage of distributed resources to reduce distribution system costs, increase resilience, and meet specialized customer needs. Good regulation will reveal value and facilitate transactions that tap that value, thereby increasing the benefit of distributed resources for all. Our programs at RMI are designed to honor and accelerate progress toward an electricity system that harnesses these distributed investments. Hence, we have parallel and interactive efforts to accelerate the progress of economic, distributed, and low-carbon disruptive technologies (because we believe they have an important and positive role to play in the electricity system of the future), even as we work with utilities, regulators, and other key stakeholders to migrate to new business models that deploy and integrate these resources in ways that maximize the benefits to society as a whole. We think these dual efforts place “creative tension” in the system from which progress manifests. Our work on disruptive technologies is focused on driving down the economic costs of deploying these systems by stimulating direct cost reductions, improving risk management and access to capital, and building new business models that are either behind the meter or aggregations across meters. To do this, we work specifically to help drive down solar “balance of system costs” through understanding cost reduction opportunities and then working to implement them, through identifying pathways to more market capital and then working with consortia like truSolar and Solar Access to Public Capital to unlock, and through working on issues like microgrids or researching the prospects for alternative asset models with a wide range of partners. These insights into disruptive models directly inform our dialogue with utilities, regulators, technology providers, and other stakeholders around ways to migrate existing business models. Our most ambitious effort at transformation is the Electricity Innovation Lab (e-Lab), a multi-year, multi-stakeholder initiative focused on rapid prototyping and fast feedback on solutions for the future energy system. This network has issued seminal thought pieces on future business models, surveys of the costs and benefits of solar, and worked directly with stakeholders like the City of Fort Collins and the U.S. Navy to develop perspectives on pieces of future solutions for all. Beyond that, we work directly with utilities such as PG&E and states like Minnesota on one-off engagements to test different ideas together in a way that provides important experience for the “think-and-do” cycle that epitomizes our approach. The IEA’s annual World Energy Outlook (WEO) is seen as the most authoritative set of energy scenarios in the world. Yet when we test the forecasts for the growth of renewable energies in the WEO’s main scenario against reality, we find that the WEO consistently comes out too low. Each year from 2006 on the WEO has had to increase its forecast for wind and solar power. Yet each year the WEO predicts the growth of renewables to level off by 2020, for no clear reason. This sends a wrong message to policy makers about the real potential of renewable energy. It is time for the IEA to acknowledge that its assumptions need correcting. 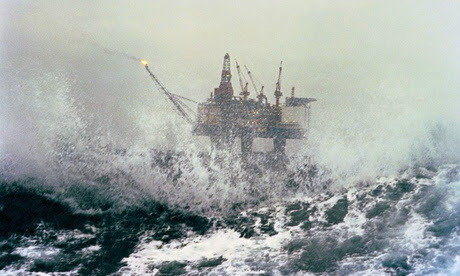 Every year in November, the International Energy Agency publishes its annual World Energy Outlook (WEO). It intends to show the possible directions for our global energy system, with the goal of guiding policy makers in designing their policies and measures. The World Energy Outlook is the most authoritative scenario exercise in the world, and is seen as such by policy and decision makers. It’s not a prediction of the future, but a sketch of possible pathways. The fact that the WEO appears every year makes it possible to assess how well it forecasts the development of renewables in the various scenarios. Looking back is not a favourite activity of scenario builders – they prefer to look forward. But it is instructive if you want to evaluate how well the scenarios hold up against reality. As it happens, the IEA has a sub-programme for Renewable Energy Technology Deployment, IEA-RETD, supported by eight IEA country members, which carried out a limited assessment of the WEO-2013 and earlier editions. The results are very interesting. First the good news. In general, the scenarios are of high quality. That is to say, they generally pass the recommendations made in the IEA-RETD’s scenario guidelines (called “RE-Assume”), which were published last summer and which show policy makers how they should understand energy scenarios and transpose their conclusions into policies. The WEO does well by most criteria, e.g. on transparency. This implies that policy makers should take to heart the WEO’s main conclusion regarding climate change policies: We need to take action that goes much beyond current policies to get anywhere near a safe pathway with respect to energy security and climate change. But the next question for policy makers is: What actions should that be? Here the bad news emerges. The WEO does provide clues about how renewable energy could contribute to the reduction of CO2 emissions, but these clues are absent in the WEO’s main scenario (the “New Policies” scenario). The assumptions about renewable energies used in this scenario and the modelling are based on misconceptions. We constructed some graphs showing the cumulative installed capacity of both solar and wind power forecast by the WEO from 2006 to 2013. 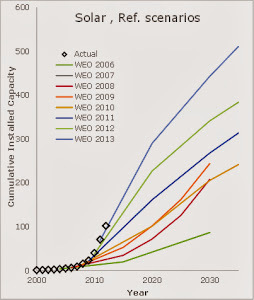 As shown in the graphs below, every year the WEO adjusted its assumptions upwards. 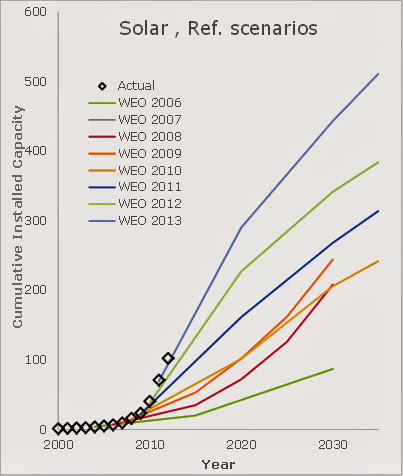 In each year from 2006, the reference scenario in the WEO shows higher cumulative capacity than the year before. What is more, in all the WEOs the growth is expected to slow down from about the year 2020, but for no obvious reason. Our findings confirm what Terje Osmundsen recently wrote in Energy Post about how solar power is portrayed in the WEO. In wind energy the WEO’s adjustments are quite large as well. Hence, it’s not a wild guess that — unless something fundamentally changes — the 2014 WEO reference scenario will again show an upward adjustment of the growth in renewables towards 2035. The German-based bank said that rooftop solar is looking especially robust, and sees strong demand in solar markets in India, China, Britain, Germany, India, and the United States. As a result, Deutsche Bank actually increased its forecast for solar demand in 2013 to 30 gigawatts — a 20 percent increase over 2012. The key for Deutsche is the emergence of unsubsidised markets in many key countries. It points, for instance, to India, where despite delays in the national solar program, huge demand for state based schemes has produced very competitive tenders, in the [12 cents per kilowatt hour] range. Given the country’s high solar radiation profile and high electricity prices paid by industrial customers, it says several conglomerates are considering large scale implementation of solar for self consumption. “Grid parity has been reached in India even despite the high cost of capital of around 10-12 percent,” Deutsche Bank notes, and also despite a slight rise in module prices of [3 to 5 cents per kilowatt] in recent months (good for manufacturers). 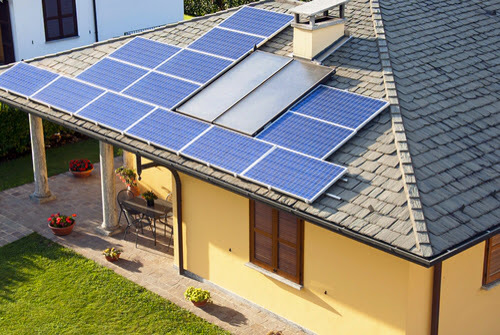 Italy is another country that appears to be at grid parity, where several developers are under advanced discussions to develop unsubsidized projects in Southern Italy. 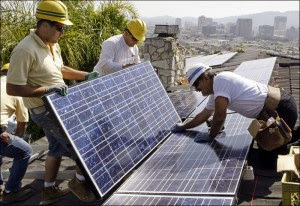 Deutsche Bank says that for small commercial enterprises that can achieve 50 percent or more self consumption, solar is competitive with grid electricity in most parts of Italy, and commercial businesses in Germany that have the load profile to achieve up to 90 percent self consumption are also finding solar as an attractive source of power generation. 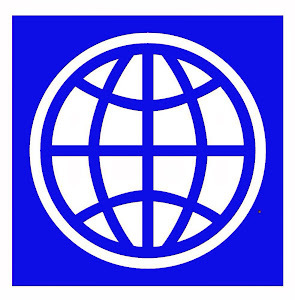 Deutsche bank says demand expected in subsidised markets such as Japan and the UK, including Northern Ireland, is expected to be strong, the US is likely to introduce favourable legislation, including giving solar installations the same status as real estate investment trusts, strong pipelines in Africa and the Middle east, and unexpectedly strong demand in countries such as Mexico and Caribbean nations means that its forecasts for the year are likely to rise. Here in America, solar power installations boomed over the course of 2011 and 2012, even as the price of solar power systems continued to plunge. To a large extent, the American solar boom has been driven by third party leasing agreements — which are heavily involved in rooftop installation. The Seychelles, like many Small Island Developing States (SIDS) is almost 100% reliant on imported oil for energy needs, which is a significant economic and budgetary cost, and is the single largest contributor of greenhouse gases in the country (based on emissions during the shipping process and in the burning of fuel to produce electricity). Given that Seychelles is a tropical country receiving large amounts of sunshine, with an average 6.9 hours of sunshine per day, there is great potential to replace at least some of the current oil-generated (and polluting) electricity with solar energy systems. One opportunity with high economic, financial and environmental viability is the implementation of rooftop grid-connected PV systems. Current barriers to a more widespread utilization of PV systems in the Seychelles include market barriers, institutional and regulartory barriers, and technical barriers. 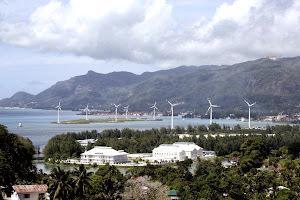 The objective of the project is to increase the use of PV systems as a sustainable means of generating electricity, thereby significantly reducing reliance on fossil fuel, through pilot projects for rooftop PV systems on all of the main and selected smaller islands, of the Seychelles. The identified barriers to the deployment, diffusion and transfer of solar PV systems will be addressed through the following project components: a) establishing a strategic policy and legal framework, b) strengthening technology support and delivery systems, and c) creating pilot PV projects.